The 9th Dubai International Film Festival came to a close yesterday in the Middle East after screening 158 films over 8 days. As the awards were handed out, a Korean favorite from this year’s festival circuit was once again honored with a major accolade. 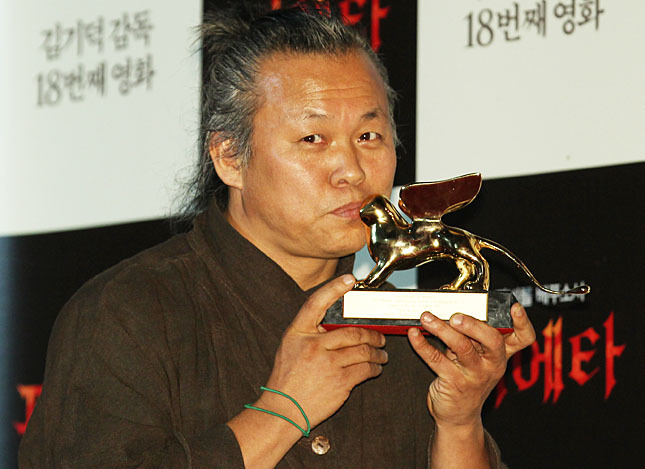 KIM Ki-duk’s Pieta, which has been burning a huge trail on the international film festival scene ever since it picked up a historic Golden Win during September’s Venice International Film Festival, was awarded the Best Director Prize. Pieta was awarded as part of the festival’s signature Murh AsiaAfrica competition. The jury, which was led this year by KIM’s countryman LEE Chang-dong, awarded its top prize to the Turkish film Inside from director Zeki DEMIRKUBUZ, which also picked up the Best Actor prize for Engin GUNAYDIN. Best Actress went to Aida EL-KASHEF for the Indian film Ship of Theseus. KIM was not present to take home his award as the busy filmmaker has been in high demand at countless film festivals as well as the recipient of numerous awards in Korea.